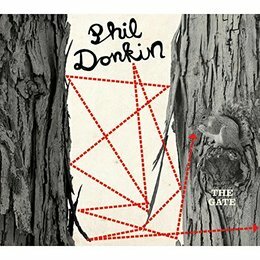 In a very short space of time Whirlwind has established a reputation as a purveyor of high quality contemporary jazz and improvised music that ranks alongside labels such as ACT and Steeplechase and this debut release by bassist and composer Donkin is further testimony of the integrity of its artistic policy. Although Donkin states in the press notes accompanying this release that it his policy to create music of broad appeal and criticises the music press for placing obstacles in the way of this objective it has to be said that this is music that will be most readily appreciated by listeners who possess a discerning ear and are in tune with a progressive jazz aesthetic. All but two of the tracks are original compositions by Donkin and apart from the driving bop oriented `Macon Groove` and the headlong ` Yesterday At My House` there is an overt chromatic abstraction about most of the pieces redolent of the Tristano school of linear improvisation. However the music is saved from bleak asceticism by the warmth and power of Donkin's bass, the bristly, vibrato laden tension of Wendel's sax, some really spiffing drumming and eloquent pianism from Zaleski. All far more expressive and emotional that Tristano would have approved of. Still, much as I enjoyed this disc and recommend it to readers of these pages I have to say that it is one of those recordings that don't yield all their virtues upon a single listen. Significant works of art rarely do and the listener or observer has to enter into a form of communion with the artist to benefit from the full measure of his or her talent. Instant gratification is unlikely and not to be looked for in music of this degree of sophistication.